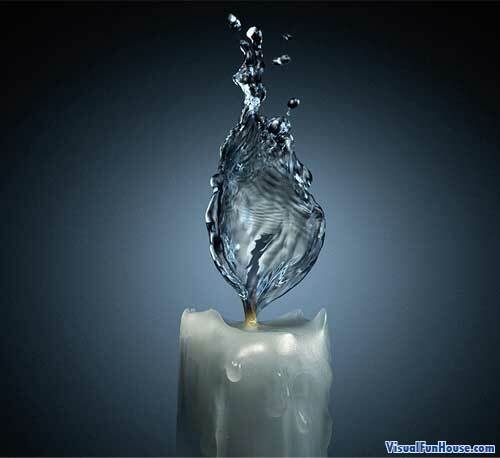 These Water Flame is an very very cool optical illusion. Im not sure if they are actual photo shops or an extremely fast shutter speed. I have recently seen a tutorial on how to create this effect in photoshop so there is a good chance thats how they are created. 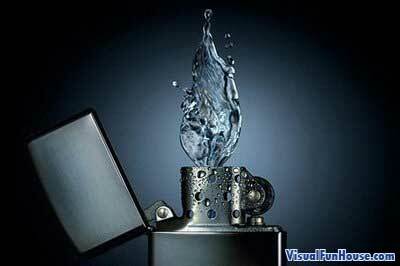 On the other hand it could be good timing an super fast shutter speeds! Regardless its a super cool effect! I love these pictures, Who ever made those liquid fame pics did an awesome job. 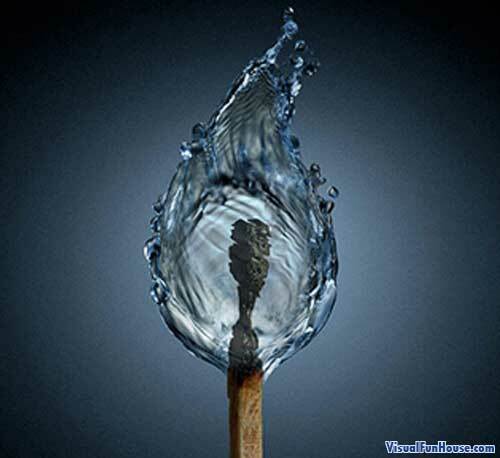 why flames goes turn to a water? wow! please post a tutorial on how to do this!! that image was created by http://www.platinumfmd.com.br/ thats a CG studio from Brazil. and I dont think that was made in photoshop, i think that was made in 3d, maybe in maya, 3dsmax or xsi… not sure. anyway this imagem is incredible, very creative and a wonderful job. Wow so cool. I luv the candel one. Hello, new cell phone backround! there was a website with this tutorial, this was created hand made!! photoshop can handle this project with no doubt! howover,final touch will make your art gride out of the ordinary. speak with a dazzling dramatization. Did you gave permission for http://demotywatory.pl/2439624/modyfikacji-osobowosci ?